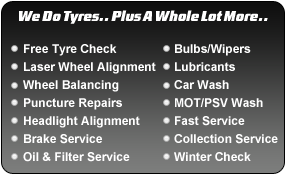 Burkes Tyres & Exhausts use the Yuasa Professional and Yuasa Cargo range of batteries that covers over 99% of all car, van, jeep, commercial and agricultural vehicles. These batteries offer the consumer a direct equivalent to the originally fitted battery and give peace of mind in all conditions. 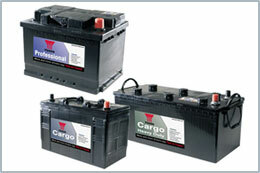 The Yuasa Professional and Cargo range is designed to handle the increased power demands of the modern vehicle. Yuasa has used its global relationships with OEMs and experience in the aftermarket to create a battery that harnesses the most relevant technological processes and features. This ensures that the Professional and Cargo range is equipped to deal with all situations and environments. So if you have starting problems call in today and our fully trained staff will advise you on the best battery for your vehicle and fit it while you wait, all at the keenest price.